The Taylorsville Emergency Center offers 10 patient exam rooms for anyone in the city who needs emergency care. Experienced, board-certified physicians associated with St. Mark's Hospital will deliver medical services in this location on a 24/7 basis. 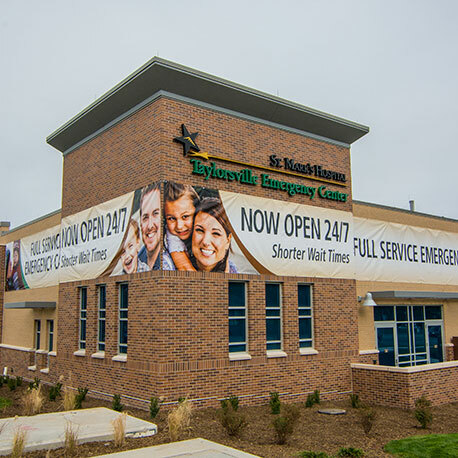 The physicians, nurses, and other staff of St. Mark's at the new ER can quickly diagnose and treat life-threatening conditions such as chest pain and stroke. They can also treat other types of medical emergencies, including traumatic injuries. The facility features comprehensive imaging services, including computerized tomography (CT scan), X‐ray, and ultrasound as well as a fully-equipped medical laboratory. This technology helps the specialists to diagnosis and treat patients quickly and accurately.